Best $250 i've ever spent on my camper. It went from feeling like you were on a boat to rock solid. Actually feels like a small apartment in there now. If your like me and don't like camper sway, I wouldn't hesitate to pull the trigger. It took about 3-4 hours total, but it takes a while to sort everything out and I had to take a propane line down to install the locking bracket. Good safety glasses are a MUST! you will be showered with hot frame shavings when drilling. I also highly recommend this drill bit, if you're like me and have a bunch of dull ones laying around. Sorry for the filthy scissor jacks, she'll get a good bath before we head out next week. 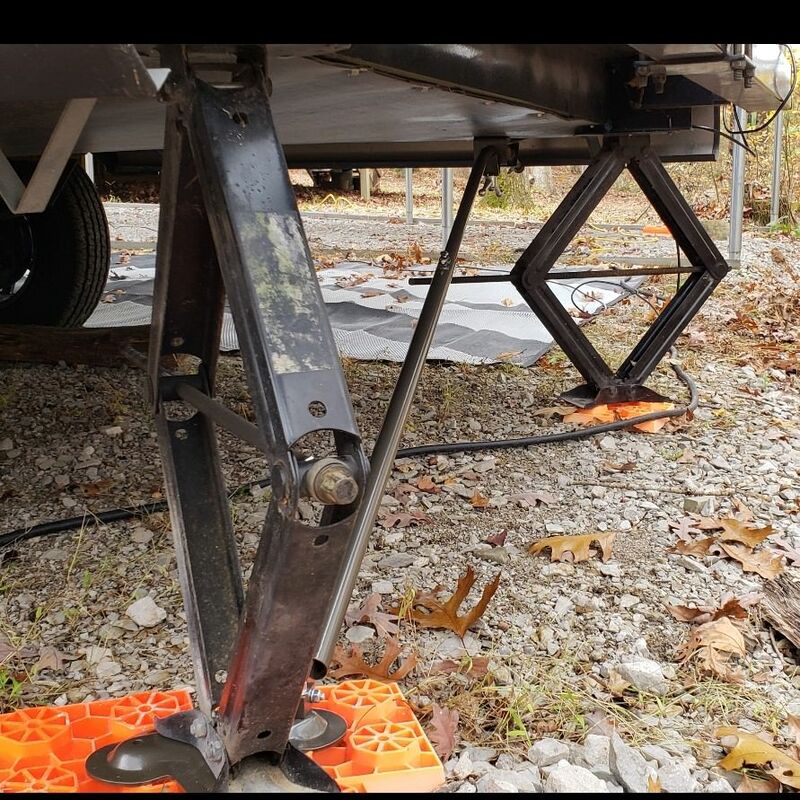 I installed the JT Strongarm system front and rear on my fifth wheel trailer. It took a while, but the results are very good, very stable. 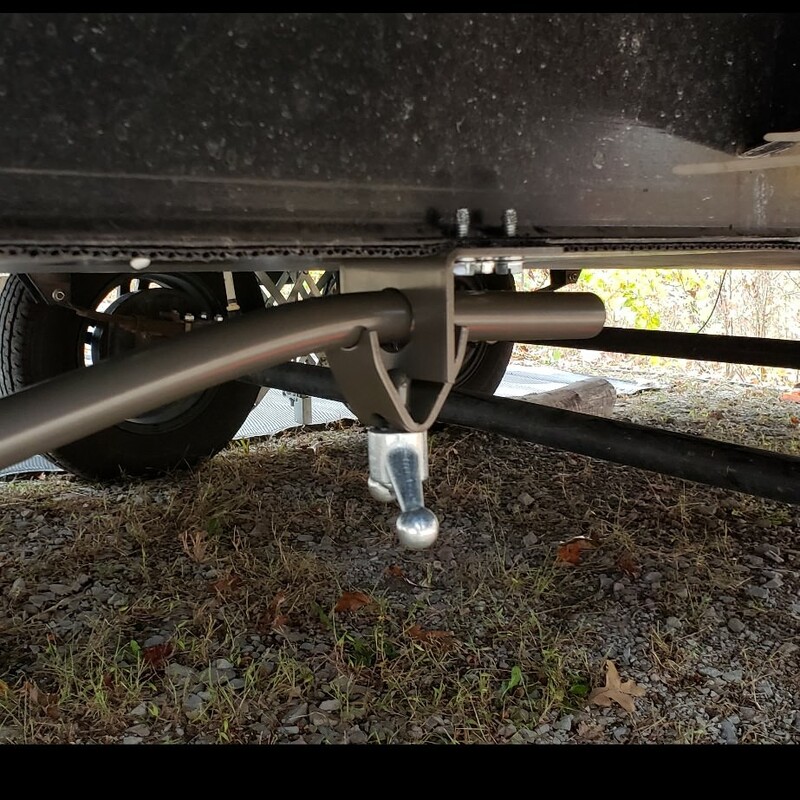 This is better than the king pin tripod I used previously, and does not take up space in my cargo area, and saves me dragging all that weight out and then adjusting for the height of the trailer. My only warning is that you need to remember to loosen the T-bolts before retracting the electric jacks.